Jade 250 National 99 chassis done about 8 meetings. 98 engine won Sheny Champs. Fully sorted Fairless motor with ignition box and Motiv pipe. Kelgates, bubble shield, rack, centre-post rear wing. Spares and various sets of wheels/tyres. 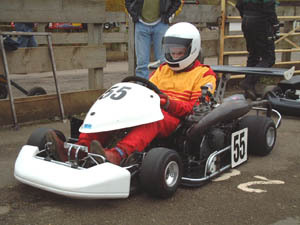 Genuinely, a properly sorted, properly cared-for kart and a bargain price.